The Centre for Early Childhood Education and Research regularly hosts 1-hour education sessions for the Brown Bag Lunch Series. These session are intended to bring together ECED students, ECE professionals, and others interested in early childhood and infant development, to explore topics pertaining to professional development, research, policy, and leadership in early childhood development and education. The Brown Bag Series invites speakers from across the University of British Columbia to present information which not only pertains to theoretical knowledge in early childhood education, but also builds bridges between early childhood research and practice. Have you ever wondered how stories come alive? Join Dr. Peter Gouzouasis for an interactive discussion where eh will share his vast experience and most updated reflections on autoethnography and the rich ways it clarifies, focuses, strengthens, and enhances verisimilitude, making learning stories even more lifelike and powerful. Dr. Peter Gouzouasis is a Professor and Deputy Head of the Department of Curriculum & Pedagogy at The University of British Columbia. He leads courses in teaching and learning in early childhood music education, autoethnography, creative pedagogies and design thinking, and curriculum theory. His most recently published works are concerned with the development of a sociosophy of education, trailblazing the use of various forms of Arts Based Education Research and Creative Analytical Practices in educational research. Recognized as a leading research institute in Canada in early child development, the Human Early Learning Partnership (HELP) is a collaborative, interdisciplinary research network, based at the School of Population and Public Health at UBC. Connecting researchers from B.C., Canada and around the world, HELP's work addresses complex early child development (ECD) issues. Through one of its three core thrusts, Developmental Trajectories, HELP has built a rich database of child development information that helps better understand children’s development over time to inform policy and practice. In this presentation, Martin Guhn will speak about early child development as a 'determinant of health', and showcase findings and new directions from HELP's research projects: the Early Development Instrument, the Childhood Experiences Questionnaire, and Middle Years Instrument. Dr. Margin Guhn is an Assistant Professor at HELP. He is also the National Research Lead of the Forum on Early Child Development Monitoring, and a member of the Canadian Council on the Social Determinants of Health. 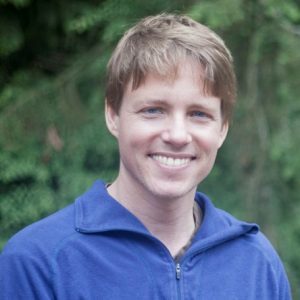 Dr. Guhn has a PhD in Human Development, Learning, and Culture (UBC), and degrees in Psychology and Music. His interdisciplinary, applied research focuses on social, cultural, demographic, and socio-economic determinants of children's and adolescents’ developmental health, wellbeing, and educational trajectories, drawing from HELP’s EDI and MDI research projects. Further research interests include children's social and emotional development, bio-ecological theories of human development, validation of population-level assessment, measurement of change over time, educational reform, as well as school and community based knowledge-to-action research. This brown bag lunch discussion will address early literacy instruction and acquisition of reading and writing skills for young children with visual impairments. Participants will explore basic understandings of braille for early readers, use of special and conventional story books and the importance of attending to pictures in picture books. Dr. Cay Holbrook is a professor of Special Education at The University of British Columbia. She is co-director of the program in Blindness and Visual Impairment at UBC. Dr. Holbrook’s research agenda has focused on literacy for students who are blind or visually impaired including attention to braille reading and writing. Promoting early literacy skills is a vital component of language acquisition, particularly for children who are deaf and hard of hearing and may have limited access to language in their environment. Research-based practices that promote early literacy skills through visual techniques may provide the needed access to language and increase retention of new information via the working memory model of comprehension. Practices and strategies to promote early literacy skills for deaf and hard of hearing children will be highlighted as well as an interactive discussion about how these strategies could be adapted for any learner. 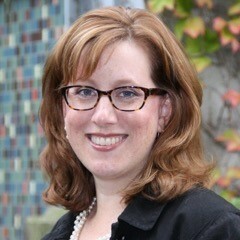 Dr. Joanna E. Cannon is an Associate Professor in the Educational and Counselling Psychology and Special Education department at the University of British Columbia in Vancouver. She completed her Ph.D. after teaching deaf and hard of hearing students in middle school as an itinerant and resource teacher for 9 years. Dr. Cannon is the co-director of the concentration in the Education of the Deaf and Hard of Hearing graduate program where she teaches the language, literacy, and curriculum courses. 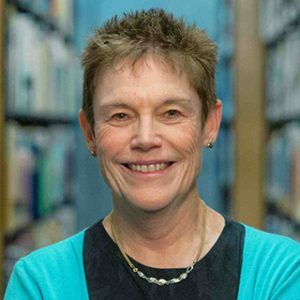 Her areas of research include grammar and literacy acquisition for students who are deaf and hard of hearing. in relation to early childhood education. Threads of the collective investigation will include: What does it mean to be an adult who “likes” being an adult? What does it mean for adults and young children to “meet” each other? And how do early childhood educators who like being adults enact hospitality for young children? Dr. Claudia Ruitenberg is an Associate Professor and Graduate Advisor with the UBC Faculty of Education, Department of Educational Studies. How do humans come to have a “moral sense”? Are adults’ conceptions of which actions are right and which are wrong, of who is good and who is bad, who deserves praise and who deserves blame wholly the result of experiences like observing and interacting with others in one’s cultural environment and explicit teaching from parents, teachers, and religious leaders? Do all of the complexities in adult’s moral judgments reflect hard-won developmental change coupled with the emergence of advanced reasoning skills? This talk will explore evidence that, on the contrary, infants’ and toddlers’ social behaviors and social preferences map surprisingly well onto adults’ moral ones. Within the first year of life, infants prefer those who help versus harm third parties, those who reward prosocial individuals and punish wrongdoers, and even focus on the intentions that drive others’ actions rather than the outcomes that result from them. In the second year of life, toddlers are motivated to engage in both prosocial and antisocial behaviors toward third parties; these behaviors are informed by those third parties’ past prosocial and antisocial acts. Finally, for males (but not females) the evaluations and behaviours observed in infants and toddlers map onto reliable parent-reported individual differences in social and moral development in preschool. Together, these results suggest that the human moral sense is supported, at least in part, by extremely early-developing mechanisms for social evaluation and action. 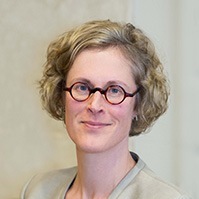 Dr. Kiley Hamlin is the Director of the UBC Centre for Infant Cognition, an Associate Professor in the UBC Faculty of Arts, Department of Psychology, and Canada Research Chair of Developmental Psychology at UBC. Dr. Hamlin focuses her research on the role of evaluative processes in our everyday cognitions about the world. Particularly, she explores the developmental building blocks of moral action and judgement in infancy before the influence of cultural norms and values. 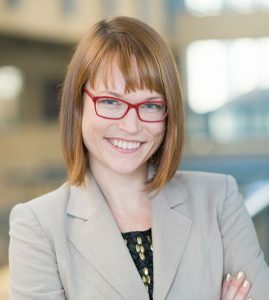 Through her research, she hopes to identify how these early building blocks interact with culture and other aspects of cognitive development to create mature moral beings. Kiley Hamlin is also part of the Early Development Research Group, a consortium of six research centers interested in the development of language, learning, and social understanding in infants and children. In this hands-on session, the presenters will discuss and share a wide array of paper and digital resources that foster children’s creativity, imagination and learning. In many homes, young children daily experience new technologies including mobile phones, TV/videos and “smart” toys. If young children are to achieve their full potential as members of a society in which knowledge and communication occur through both traditional and new technologies, then time spent by parents and teachers selecting and assessing early learning resources is important. Developing an awareness of and comfort with a wide range of learning resources that are culturally relevant, technologically appropriate and language rich is critical. Yvonne Dawydiak is the Technology Integration Mentor and Manager of the Master of Educational Technology Development. Yvonne enjoys collaborating with instructors and providing instructional leadership for the integration of digital technologies into pedagogical practices. Jo-Anne Naslund is an Education Librarian at the UBC Education Library. 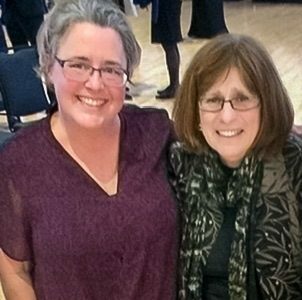 Jo-Anne is the 2016 recipient of the Murray Elliot Service Award for Outstanding Service to the Teacher Education Program. Her contributions are characterized by her passion and commitment to supporting every teacher candidate and student in developing an understanding of the resources available to help them in their journey toward becoming an exemplary educator. The African Storybook (ASb) is a ground-breaking South African initiative, begun in 2013, which promotes early literacy for African children through a powerful interactive website (africanstorybook.org). There are currently over 500 unique stories in over 60 African languages, as well as English, French, and Portuguese, which can be downloaded, translated, and adapted for use. 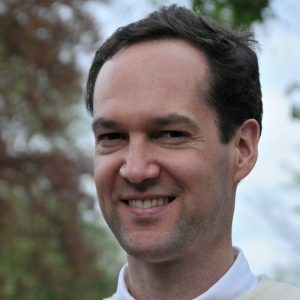 Espen Stranger-Johannessen is doing his PhD research on the project, and Bonny Norton serves as the project’s Research Advisor. The openly licenced stories of the ASb have inspired innovations such as the Global African Storybook Project, developed by Liam Doherty, to enable educators, parents, and others around the world to promote children’s literacy by translating the stories from the African Storybook into all of the languages of the world (global-asp.github.io). In the process, many innovative and useful tools have been developed using the data (text and images) from the ASb. This collaborative presentation will introduce both the ASb and the Global ASP, and then turn to a discussion of the language teacher identity research that has arisen from the ASb, focusing on Darvin and Norton’s (2015) model of identity and investment. The research with Ugandan elementary school teachers has found that shifts of identity are associated with changing pedagogical practices, and that different forms of capital are implicated in the teachers’ investments in new digital practices. Aspects of this research are publicly available in the online newspaper The Conversation and theconversation.com. 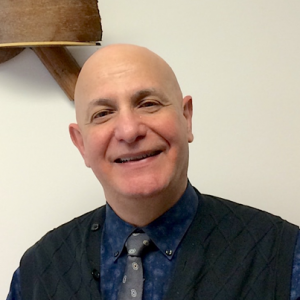 Dr. Peter Gouzouasis will share a research based, hands-on workshop in early childhood music. The workshop will focus on research informed practices that were developed in the 1980s when there was a renewed interest in early childhood music education that came from the work of graduate students who studied with Professor Edwin Gordon at Temple University and Professor Barbara Andress at Arizona State University. Those practices form the foundation of present day, commercially available training programs in early childhood music as well as contemporary teaching and learning materials. The session will focus on music and movement in informal, structured and unstructured settings in a variety of tonalities and meters using a plethora of techniques. Rationales for these practices will be supported with research findings, and contemporary research approaches in early childhood music will also be shared. 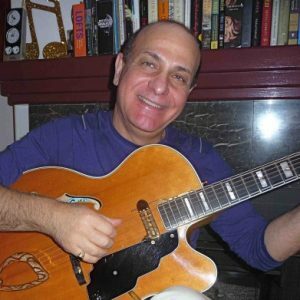 Dr. Peter Gouzouasis is a Professor in Music Education with the UBC Faculty of Education, Department of Curriculum & Pedagogy.